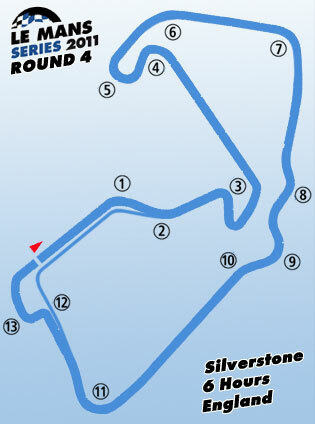 After a lengthy mid-Summer break, the 2011 Le Mans Series resumed with Round 4 at Silverstone. Almost exactly two months had passed since the teams last competed in the heat and humidity of Imola, and the bracing near-autumnal winds that are were forecast for Northamptonshire needed to do more than just blow away a few cobwebs. RML's trio of Mike Newton, Thomas Erdos and Ben Collins faced another clean slate, as they prepared to break-in and set-up yet another 'new' chassis. The former Andretti Green HPD that served them at Le Mans and Imola, following the accident that wrote off the team's original car at Spa, had been rebuilt and sent back to HPD. 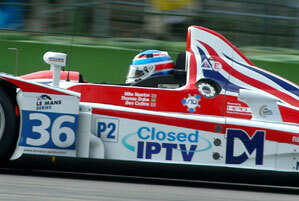 In its place Phil Barker's equipe in Wellingborough had prepared the first all-new HPD chassis to break cover for almost two years, and fell to Brazilian Thomas Erdos to fettle the car in time for qualifying and the race. RML's hopes of retaining their 2010 titles seemed remote, but there was much to prove, and groundwork to prepare ahead of any announcements about 2012 and beyond . . . .